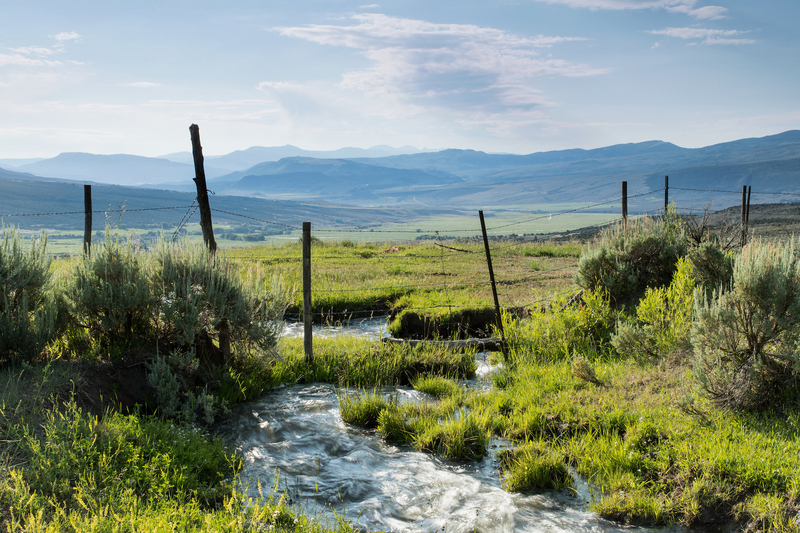 The Nottingham Ranch is considered one of Colorado’s most stunning legacy ranches. The property offers indescribably beautiful mountain vistas. A working cattle ranch approximately 1.25 hours from Vail and 45 minutes from the Vail/Eagle Airport the property offers over 19,493 deeded acres; over 100 cubic feet per second (cfs) of very senior water rights; extraordinary elk and deer hunting; Bureau of Land management (BLM) and U.S. Forest Service grazing permits on over 50,000 acres. 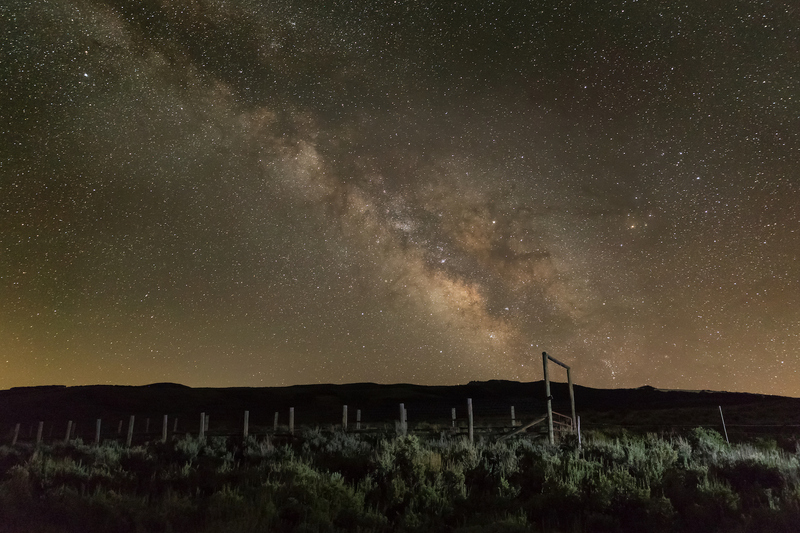 The property is located near Burns, Colorado and spans from Burns, bisected by the Colorado River from the west side of Castle Peak towards the Flat Tops Wilderness Area to the west and sprawls along both sides of Derby Mesa Loop and Sunnyside Road into Routt County. The Flat Tops Wilderness Area is the third largest U.S. Wilderness Area in Colorado. 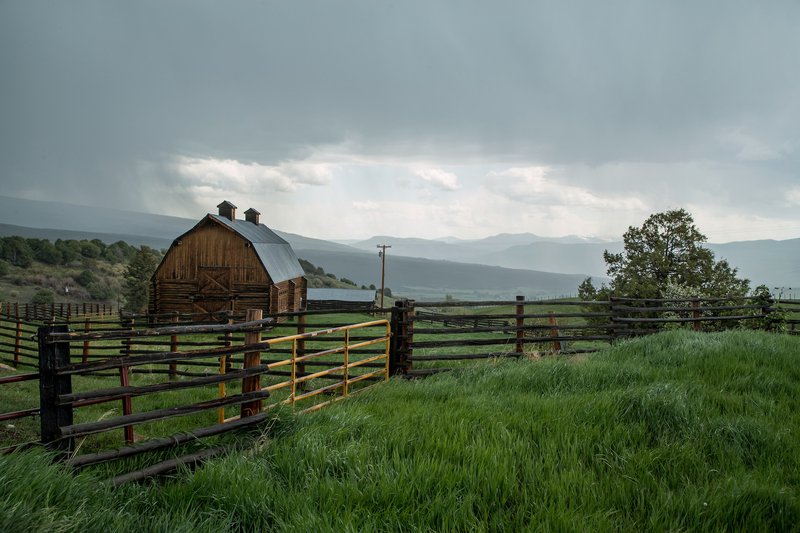 The ranch is a self-sustaining ranch inclusive of 1,200 pair of cattle and calves and the property includes seven residences and additional cabins. The land value is extraordinary as most of the ranch is surrounded by the National Forest, Flat Tops Wilderness or BLM property. 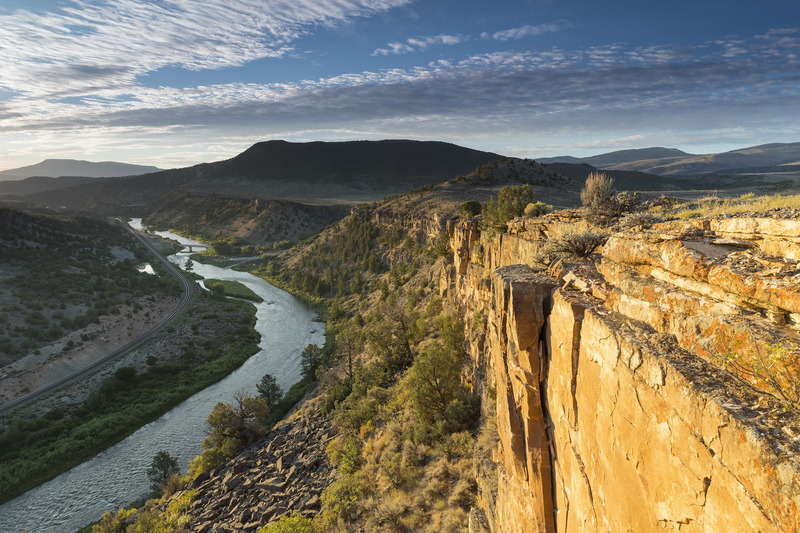 One of the largest elk herds of Colorado is located in this area and a very successful private hunting outfitter has been based on the ranch for 23 years. This amazing property is listed for $100 million with Slifer, Smith, & Frampton Real Estate for $100 million and is showcased by Luxury Portfolio.